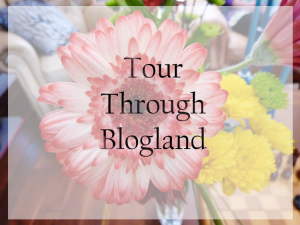 My grateful thanks go to Jo Robinson, who nominated me for the ‘A Tour Through Blogland’ award. Jo has supported me on my website from the day I created it, and her interaction, and comments are extremely valuable to me. She was born in the windy city of Port Elizabeth, and now lives in South Africa with her husband, four birds, and a dog. Her books ‘African Me and Satellite TV’, ‘Shadow People: The Finding: 1’ and ‘Echoes of Narcissus in the Gardens of delight’ have all received excellent reviews. African Me and Satellite TV: For many years Suzette has managed very well to live her life without actually taking part in it, avoiding any possibility of pain by very carefully ignoring reality. Until something happens. Something so terrible that she has no choice but to abandon her cocoon of safety. After the brutal beating of an elderly domestic worker, Suzette takes her in, and sets off a chain of events that leads to devastating heartbreak. And an unexpected hero changes everything. Finally finding her voice, she speaks out, and her world explodes, culminating in the death of a very special man. On her path to make amends, she discovers the story of his life, connects with the people of his past, and finds the chance to fully live her life once again if that’s what she chooses to. Shadow People: The Finding: 1: After Natalie and Gabe discover a hidden room, they are hurled across time and space, and find themselves on Lapillus, a beautiful world made up of precious gems. But soon they learn that Lapillus is home to an ancient evil, when they are attacked by the demonic wraiths of the Nefandus. They find themselves thrown together with a group of beings vastly different to them in this lifetime, but closely connected through the aeons. They realise that the prophesies of all have come to fruition, and that without their intervention the fate of the universe is at stake. With the guidance of the angelic Gluri, and the help of the mysterious sentient spacecraft, the Vimana, the race is on to destroy the Nefandus and prevent evil winning the battle of all time. If you accept this award, the final day for posting is 4th May 2015. Chris Graham, the unflagging promoter of Indie writers everywhere. Commonly known as TSRA, this ape’s blog has so much content, he’ll keep you prisoner within his troop forever. If you’re a writer looking for some free advice, promotion, or just want to see what other writers are up to, you can’t do better than pay him a visit. Find him on http://thestoryreadingapeblog.com but make sure you take some bananas. Thank you for your support Chris. Q. When you wrote your book ‘Tissue of Lies’, did you publish right away? A. I did send it to a few traditional publishers who gave negative results. One said it was too wordy. At the time I didn’t even know what that meant. I didn’t write for several years, but when I began writing again about thirty years later, I picked it up and worked with it again. After reading all the brilliant advice on the internet, I understand what wordy means, and yes, my book was wordy. It’s not now though: it’s been through many edits since then before I self published it. Q. Did your family and friends read it first for reviews? A. No! I published my book unseen by anyone other than me. I didn’t offer it up for reading and to be honest, none of my family seemed interested. Publishing my book was a leap of faith for me. Every review I have is from a stranger. A. I have written some short stories including children’s stories, poetry, and my biography. Some of these I’ve published on my website, and some I haven’t. I also helped my mum write her autobiography. The biographies were more to pass on to our future generations along with the family history trees I’ve researched over fifteen years. I have two other projects on the go. One I am about one third of the way in, about the life experiences of an abandoned newborn, alongside her mother’s story of how she came to abandon her baby. I’m also currently co-writing a crime thriller which my writing partner and I started at the beginning of February. Now nearly at the end of March we have 65,000 words. This story was sparked off from my short story ‘The Day in the Life of a Blogger’. It was about a woman who is murdered in her home. After it was published on my blog, another writer wrote it and was inspired to write the killer’s side of the story. It’s called ‘The view from the other side’. This has prompted us to write a book together. It’s working really well even though he lives in America and I live in England. Isn’t the internet fantastic? Q. If you publish the two books mentioned above, that will make three. Will you write more books? A. Yes, I have many more plots half worked out. I plan to write until I physically can’t. I suppose even then, with speech recognition facilities, it’s still possible to produce writing. I hope to write many more, and hopefully someone will read them.